Here, in this article, we will talk about some of the best WordPress Floating Side Tab Plugins that will let you add engaging side tabs on your WordPress website. But before we go through the list, let’s take a look at FAQ that will make you even more clear about the side tabs, its functionalities, and its advantages to a WordPress website. What a Floating Side Tab? A Sticky, Fixed or Floating Tab (or bar) is an informative widget that is locked in a specific place so that it does not get disappear when the user scrolls down. 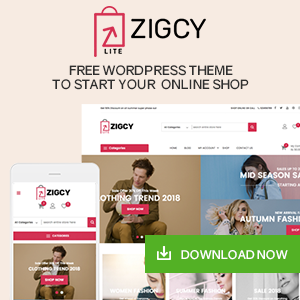 In simple word we can say, it is a type of widget that is accessible from anywhere on your website without having to scroll. What can you add on the Side Tab? What are the advantages of having a Floating Side Tab on your WordPress website? Now let’s talk about the Best WordPress Floating Side Tab Plugins that I have handpicked. These plugins are very popular and have jaw features to place the floating tab elegant on your WordPress website. 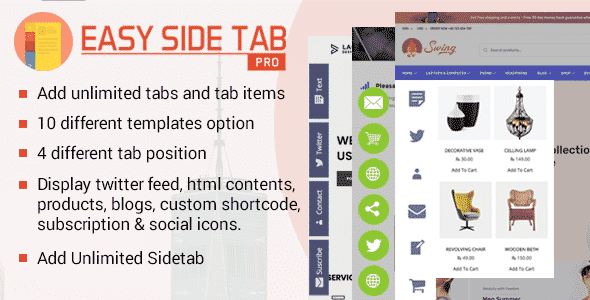 Easy Side Tab Pro is a premium WordPress floating tab plugin that allows you to create unlimited number of side tabs for your WordPress website. It contains an easy to use and user-friendly backend inference for quickly creating a side tab and place them different positions. 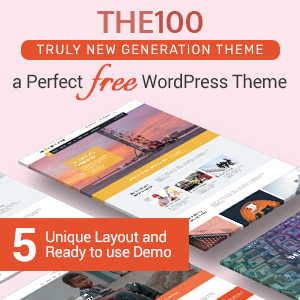 The plugin comes with 10 beautifully designed templates enriched with elegant components, animations, and functionality. You can use and customize any of them to create a stunning sidebar for your WordPress website. Besides, the plugin also has 26 different popup component layouts for the popup display of your side tabs. Easy Side Tab Pro is a highly customizable plugin that comes with different types of possibilities. Moreover, the plugin also lets you import/export the side tabs for the various WordPress template in a few clicks. PullOut Widgets is a premium WordPress plugin for turning your sidebar widgets into a slick pullout. It contains different possibilities for converting different site items such as text widgets, galleries, videos, feedback forms, login forms and mega menu into the pullout widgets. Moreover, the plugin will let you place unlimited numbers of pullout widgets on different positions (left, right, top or bottom of your screen). It is a highly configurable WP plugin that has various options to trigger the widgets made by the plugins. The pullout trigger includes on mouse click, mouse hover, timer countdown, page counts, and many more. 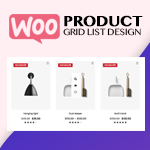 Also, the plugin consists of 289 slick icons and 32 sliding animation effects that can be placed on the pullout to make it look totally stunning on your WordPress website. 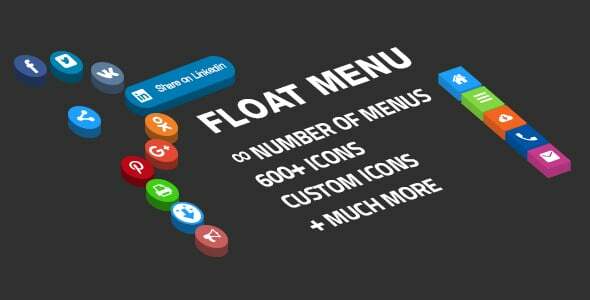 Floating Side Menu is a smart WordPress sidebar plugin for enhancing the usability of your WordPress website. It contains various advance tool settings to implement your WordPress side tabs in a unique way. This will make your website easy to navigate and let your visitors find their required content faster and easier. It is a responsive WordPress plugin that can adapt to any devices and screen sizes. Moreover, the tabs created by the plugin will stay floated by invisible to your visitors and can be triggered by the various animation effects. Also, the plugin gives you full control over components that you want to add on each of the unlimited side menus/tabs you want to create for your WordPress website. 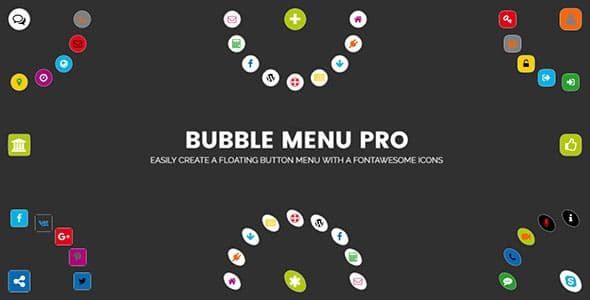 Bubble Menu Pro is a premium WordPress plugin for creating awesome circular menu contains different types of icons. On the icons, you can place the links of the important contents of your WordPress website so that you can direct a large number of visitors to it. Moreover, you can also add email subscription forms for collecting the emails from your clients. 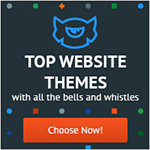 It is a flexible WP plugin that lets you create unlimited of bubble menu for your WordPress website. After creating the bubbles you can place them at any of the 8 fixed positions that are provided by the plugin. Moreover, you can customize the submenu by adding various types of animation and trigger effects for displaying it to your visitors in a unique way. 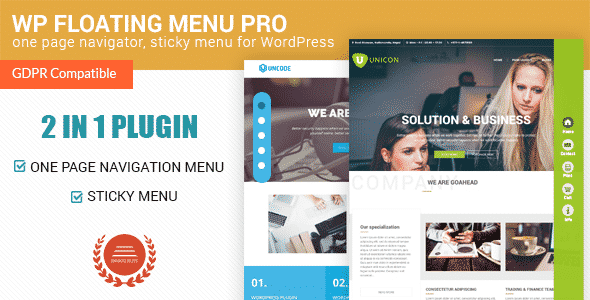 WP Floating Menu Pro is an excellent WordPress Plugin specialized for creating a slick one-page navigators or sticky navigation tabs on your WordPress website. 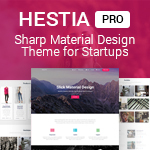 It is packed with 13 clean and responsive templates for adding the favorable sticky bars that match the overall design of your WordPress template. Moreover, the plugin also provides you 7 different position option to place the navigation tabs/menus in an eye catchy fashion. It is a highly configurable plugin that contains tons of possibilities to create unlimited number of sticky tabs for your WordPress website. Additionally, you can also configure the sticky tabs for each page by using the pagewise configuration options of the plugin. These are the best WordPress Floating Side Tab Plugins that I have collected according to its functionality, popularity and usability. So, if you are interested in adding floating tab on your WordPress website, then you can purchase and use any of the above-mentioned plugins at a reasonable price. Hope the article is beneficial for you to know more about the floating tabs and some of the very popular WordPress Floating Side Tab Plugins in the market. Hey Buddy!, I found this information for you: "5+ Best WordPress Floating Side Tab Plugins (Premium Collection)". Here is the website link: https://wpallclub.com/best-wordpress-floating-side-tab-plugins/. Thank you.